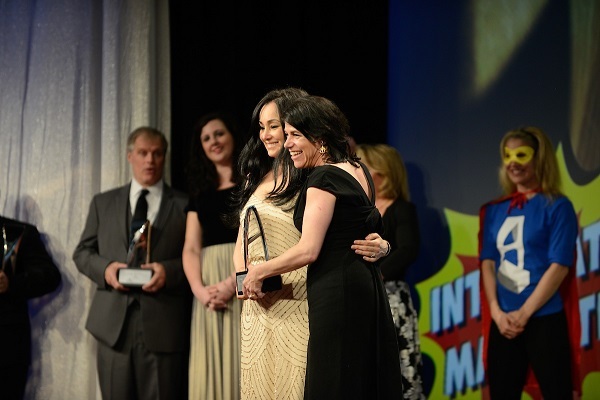 McLean, VA, 2018-Jul-05 — /Travel PR News/ — The Hospitality Sales and Marketing Association International (HSMAI) is officially accepting entries for its 2018 Adrian Awards, celebrating excellence in travel marketing. Now in their 62nd year, the Adrian Awards recognize standout brands and agencies for their innovation and creativity in hospitality advertising, digital marketing, and public relations campaigns. Travel industry professionals and agencies compete in three divisions: advertising, digital marketing, and public relations. Gold, Silver, and Bronze awards will be given in each category. Platinum winners are selected as the most extraordinary entrants, and the highest distinction—“Best of Show” —is granted to the top Platinum winners. Facebook Mobile Video Award (Digital Marketing Single Entry and Campaign) – The award given in partnership with Facebook will evaluate campaigns based on how their creative assets were built to capture attention on mobile and their usage of measurement solutions to understand impact on real business results. Corporate Social Responsibility Award – Entrants in this category will be asked to showcase their efforts in areas such as environmental impact, employee relations, community support, volunteering, and philanthropy. The Adrian Awards’ early entry deadline is July 20, 2018 and the final deadline is August 22, 2018. All entries for the Adrian Awards must be submitted online. In addition, HSMAI is accepting nominations for “The HSMAI Top 25: Extraordinary Minds in Hospitality Sales, Marketing, Revenue Optimization 2018,” and Lifetime Achievement honors. For submission guidelines and award information, visit http://www.adrianawards.com. The Adrian Award entries will be judged by a broadened base of advertising, digital marketing and public relations experts and leading members of the travel industry. Professionals interested in being a judge must have at least eight years of hospitality, travel or tourism marketing, or specific media experience. For more information or to apply please visit: http://www.adrianawards.com/competition/judging.asp. The Hospitality Sales and Marketing Association International (HSMAI) is committed to growing business for hotels and their partners, and is the industry’s leading advocate for intelligent, sustainable hotel revenue growth. The association provides hotel professionals and their partners with tools, insights, and expertise to fuel sales, inspire marketing, and optimize revenue through programs such as HSMAI Digital Marketing Strategy Conference, Adrian Awards, and Revenue Optimization Conference. Founded in 1927 and celebrating 90 years in 2017, HSMAI is a membership organization comprising more than 5,000 members worldwide, with 40 chapters in the Americas Region. Connect with HSMAI at https://www.hsmai.org, www.facebook.com/hsmai, www.twitter.com/hsmai, and www.youtube.com/hsmai1. This entry was posted in Business, Hospitality, Hotels, Travel, Travel Awards, Travel Marketing, Travelers and tagged 2018 Adrian Awards, Fran Brasseux, HSMAI, Robert A. Gilbert. Bookmark the permalink.